Our netball team continued their unbeaten run to win the district netball tournament at Ellowes Sports College. Having won a place in the finals by finishing at the top of the table during the group stages, the team progressed to the four team finals to meet Milking Bank, The Glynne and Church of the Ascension primary schools. In the first game, the team was up against local neighbours Church of the Ascension who have a very good record in this tournament. After some excellent play from both teams, Maidensbridge managed to get the all important two goals required to win the match 2-0. A good start! In the next game, our team worked well as a team in overcoming The Glynne and another school that has a good tradition of netball. The final result was 2-1 to Maidensbridge. Finally, Maidensbridge was up against an organised Milking Bank Primary School. With both teams working hard to get a foothold in the game, an all important Maidensbridge was the difference between the two teams. Having won all three games at the Finals, the Maidensbridge netball team will go forward to represent Dudley at the Back Country School Games in June, where they will be joined by the best teams from Sandwell, Wolverhampton and Walsall. 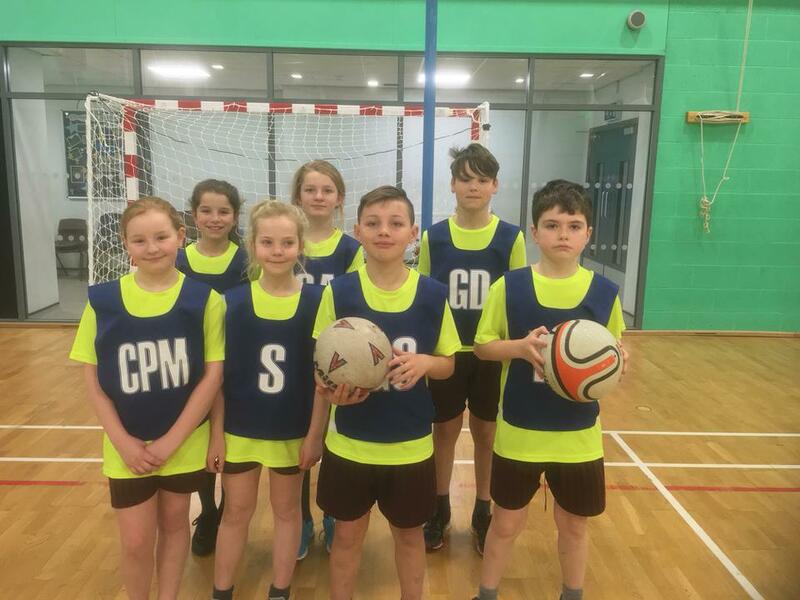 Although Maidensbridge are no strangers to representing Dudley in the Black Country School Games, it is the first time we will represent Dudley in netball. A big well done to all involved in this success.